This badge was issued to Melissa B Doran on 12 May 2016. 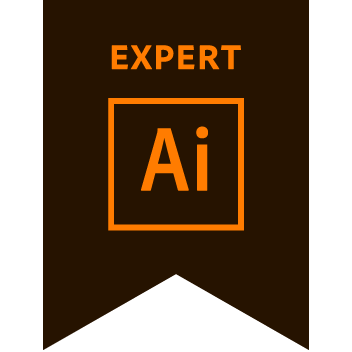 The Adobe Certified Expert (ACE) certification is the industry-recognized validation of one's proficiency in Adobe Illustrator CC. This certification requires in-depth knowledge of creating 2D illustrations, text treatments, and precise vector layouts, as well as an understanding of Adobe Photoshop, Adobe InDesign, and tablet input devices. This badge is no longer actively being issued, but it is still a valid certification.